MLB Blog: Yankees trying to move Nova ? 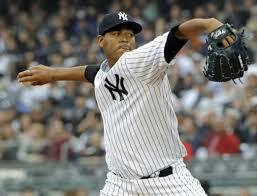 NEW YORK - Reportedly, the New York Yankees are trying to trade Ivan Nova. After his return from Tommy John surgery in 2015, Nova went 6-11 with a 5.07 ERA through 94 innings.